Bobby has already written about our "Alphabet Game" for when he is not in front of his communication devices, you can read about it here. For a lot of people it can be hard or very tiring to for both the pAL and caregiver to figure out what is needed. 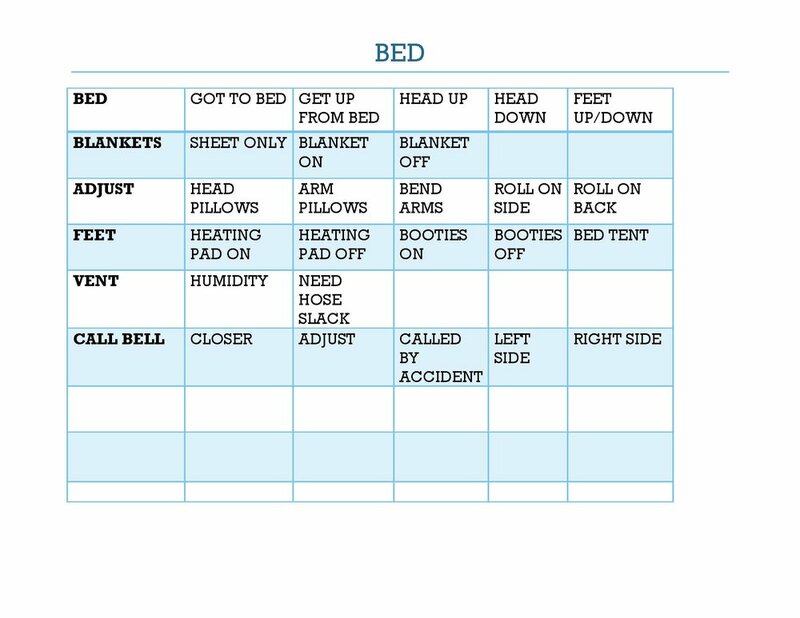 I made up these categorized cheat sheets for Bobby and his caregivers or if/when he is in the hospital. I keep them in his care binder. I made them with Word. Older PostNeed more USB ports?